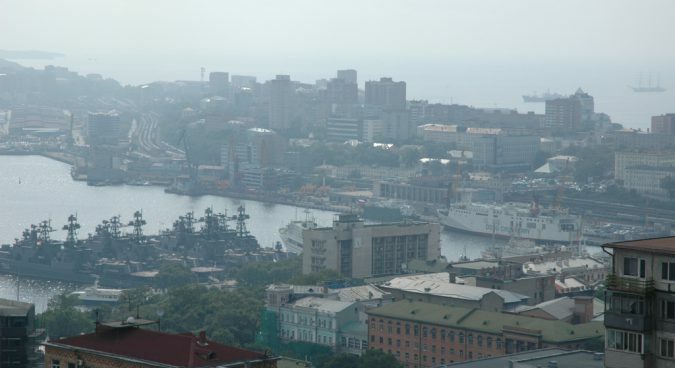 The U.S. Department of the Treasury designated two Russian based entities and six Russian flagged vessels on Tuesday in its latest round of North Korea focused sanctions. The designations pertain mainly to ship-to-ship (STS) transfers involving North Korean vessels, a practice that is banned under current UN Security Council (UNSC) resolutions. “Ship-to-ship transfers with North Korea-flagged vessels from Russia or elsewhere of any goods being supplied, sold, or transferred to or from the DPRK are prohibited under the UN Security Council resolutions on North Korea and are sanctionable under U.S. law,” Treasury Secretary Steven Mnuchin was quoted as saying in an accompanying press release. “Consequences for violating these sanctions will remain in place until we have achieved the final, fully verified denuclearization of North Korea,” he added, echoing Washington’s DPRK policy line. The two entities, Primorye Maritime Logistics Co Ltd (Primorye) and Gudzon Shipping Co LLC (Gudzon), are identified as the registered owners and managers of a Russian-flagged vessel called the Patriot. According to the Treasury’s Office of Foreign Assets Control (OFAC), which handed down the designations, the Patriot was involved in two STS transfers of oil “for the benefit of North Korea” in early 2018. OFAC says the two transfers involved a shipment of 1,500 tons of oil to the North Korean vessel the Chong Rim 2 and 2,000 tons of oil to the Chon Ma San. The Chong Rim 2 was designated by both the U.S. and UNSC in 2016 while the Chon Ma San was sanctioned – again by both the U.S. and UNSC – earlier this year for its involvement in STS transfers. “The ultimate buyer was UN- and U.S.-designated Taesong Bank, a North Korean entity subordinate to the UN- and U.S.-designated Workers’ Party of Korea Office 39, which engages in illicit economic activities for North Korean leadership,” OFAC said. The Taesong bank is also known as the Daesong bank. According to the company’s website, Gudzon was founded in 2003 and is involved in a range of services including automobile cargo transportation, customs clearance, maritime transportation, rail transportation, warehousing and oil transport. The remaining five vessels listed by the Treasury on Tuesday are within the Gudzon fleet. Primorye Maritime Logistics Co Ltd – or PML CO LTD – also shares the same address as Gudzon, the Equasis Maritime Database, and the OFAC designations show. Evidence supplied, primarily by the U.S. and Japan, has shown North Korean vessels repeatedly engaged in STS transfers of oil products throughout 2018. One such submission of evidence from the U.S. alleged that North Korea likely conducted at least 89 ship-to-ship transfers to illicitly obtain refined petroleum products between January 1 and May 30. As a result, Pyongyang may have illegally imported up to 1,367,628 barrels of refined petroleum as a result of the transfers, upper-end estimates suggested, over double the 500,000 barrels authorized for export to North Korea each year by current UN sanctions. Consequently, the U.S. recommended that all countries should “order an immediate halt to all transfers of refined petroleum products to the DPRK.” However, Russia and China blocked the motion asking for more evidence. Tuesday’s designations represent the third set of sanctions imposed by the U.S. Treasury since the June 12 summit between U.S. President Donald Trump and North Korean leader Kim Jong Un. The most recent, issued on August 15, also targeted a Russian national and firm. Subscribe to read the remaining 557 words of this article.